Sudevi Mukherjee-Gothi is the Head of the Insurance Defence Group, and a Member of the Commercial Litigation and Health Law Practices. 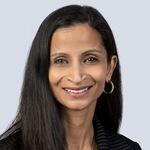 Sudevi has a thriving civil litigation practice, representing insurance companies, companies with self-insured retention, health professionals and corporations. She regularly appears before the various levels of court in Ontario, including the Superior Court of Justice, Ontario Court of Appeal, and various administrative tribunals, and has appeared before the Supreme Court of Canada. She has conducted both jury and judge alone trials. Sudevi’s practice focuses on occupiers’ liability, motor vehicle liability and the defence of professional liability (pharmacists, veterinarians, lawyers and independent adjusters). She also has experience in large environmental contamination cases, product liability cases, property damage claims and providing coverage opinions. Sudevi has extensive trial experience. In 2014, she represented her client to victory in a jury trial before the Ontario Superior Court of Justice, shutting the plaintiff out on all liability and damages (Stern v. Lam Than Ngyuen cob Tue Devotion Nail and Spa). 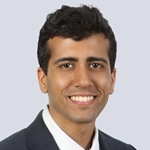 Sudevi also has experience in general commercial litigation matters.